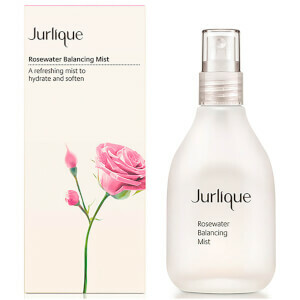 Refresh and purify your skin with Jurlique Revitalising Cleansing Gel, a lightweight foaming gel cleanser that transforms into a rich lather to cleanse away makeup, oil and pollution. Utilising a unique micellar cleansing system to remove even the most stubborn, long-lasting makeup, the face wash delicately sloughs away dirt and impurities to leave skin feeling pure and fresh. It's formulated with an exclusive blend of pure botanicals grown, harvested and extracted at the brand's organic farm in the South Australian hills, including Birch, Calendula, Spilanthes, Rosemary, Yarrow, Lemon Balm and Liquorice, and protects skin with natural-based antioxidants. Gently lather a small amount between damp hands and massage over face. Rinse thoroughly with warm water. Use morning and night. Avoid direct contact with the eyes. If contact occurs, rinse thoroughly. Aqua (Water), Coco Betaine, Sodium Lauroamphoacetate, Cocamidopropyl Betaine, Magnesium Sulfate, Sodium Methyl Cocoyl Taurate, Sodium Cocoyl Isethionate, Glycerin, Mentha Piperita (Peppermint) Leaf Extract, Betula Alba Leaf Extract, Calendula Officinalis Flower Extract, Spilanthes Acmella Flower Extract, Rosmarinus Officinalis (Rosemary) Leaf Extract, Achillea Millefolium Extract, Melissa Officinalis Leaf Extract, Glycyrrhiza Glabra (Licorice) Root Extract, Fragrance/Parfum*, Citric Acid, Sodium Chloride, Sodium Benzoate, Phenoxyethanol, Ethylhexylglycerin, Limonene*, Linalool*. *From Natural Essential Oil. This cleanser is great to refresh skin. It has a really lovely minty smell and leaves my skin very clean. If you want a good effective cleanser, this is the one!